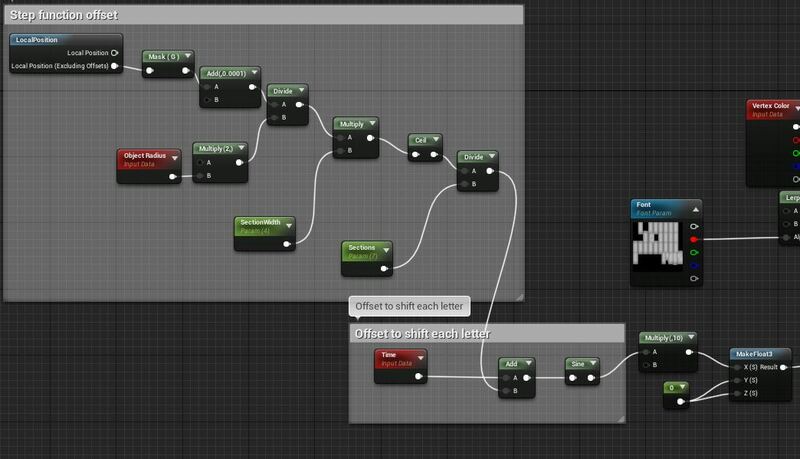 Hello, I am trying to add some basic movement via material to the unreal text render but, I’d like each letter to have its own separate offset in the material. So my thought was each letter is sampled from the same text sheet so the UVs must be unique. Sure enough they are(ish).